Local food proponents often claim that food grown close to home helps prevent global warming because it requires less fossil fuels to transport, generating fewer greenhouse gas emissions than conventionally produced food. But just how green is local food? While there is no official definition of local food, the 2008 Farm Act defined a “locally or regionally produced agricultural food product” as one that travels less than 400 miles from its origin, or within the state in which it is produced. Many people consider food produced within a 100-mile radius as local. 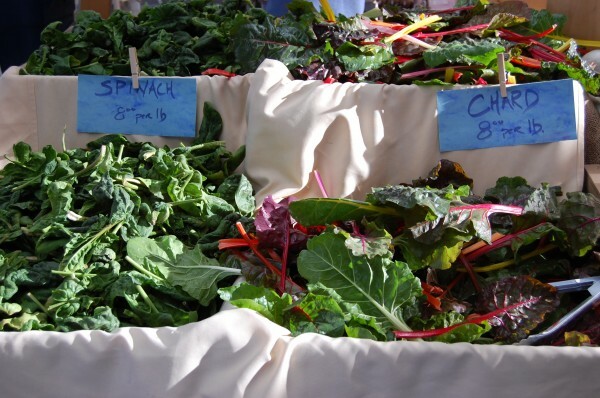 Local food is sold at farmers markets, roadside stands, U-pick operations, through community supported agriculture, Farm to School programs, and food hubs that distribute food to restaurants, hotels, etc. In the United States, conventionally produced foods are often said to travel 1,500 miles from farm to plate. Rich Pirog, senior associate director of the C.S. Mott Group for Sustainable Food Systems, found that conventional food distribution was responsible for 5 to 17 times more CO2 than local and regionally produced food. But the impacts of food on climate depend not only on the distance it travels but how, and more importantly, on what happens before it ever gets delivered. 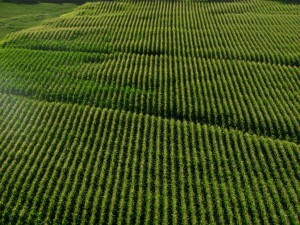 A 2008 study examined life cycle greenhouse gas emissions of food production as compared to food miles, how far food travels to market. 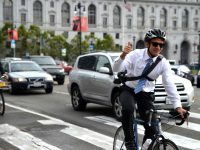 The study, which analyzed the production, transportation and distribution of food in the United States, found that transportation accounts for only 11 percent of food’s greenhouse gas emissions, with the final delivery segment from producer to market responsible for a mere 4 percent. Moreover, transportation related emissions vary according to how food is transported; for example, rail and water transport are much more energy efficient than air or truck transport. The production of food accounts for 83 percent of emissions, and can vary according to if food is grown in heavily fertilized fields with extensive plowing, or with intensive use of irrigation and pesticides, etc. The majority of food’ s climate impact is due to non-CO2 greenhouse gas emissions such as nitrous oxide and methane emissions. Nitrous oxide emissions (298 times more potent as a greenhouse gas than CO2) arise from nitrogen fertilizer and certain techniques for soil and manure management. Methane emissions (25 times more potent than CO2) are a result of the digestive process of ruminants like cows and sheep, and manure management. Meat and dairy production are also responsible for emissions from the growing of grain to feed the cows. The life cycle study found that red meat accounts for about 150 percent more greenhouse gas emissions than chicken or fish. So while buying local food could reduce the average consumer’s greenhouse gas emissions by 4-5 percent at best, substituting part of one day a week’s worth of calories from red meat and dairy products with chicken, fish, eggs, or vegetables achieves more greenhouse gas reduction than switching to a diet based entirely on locally produced food (which would be impossible anyway). Eating foods that are in season and eating organic and less processed foods can further reduce one’s greenhouse gas emissions. The local food movement is growing rapidly. The U.S. Department of Agriculture reported a 9.6 percent increase in National Farmers Market Directory listings this year. In 2010, the U.S. had 6,132 farmers markets; today it has 7,864. Small and local farms provide numerous economic, social and environmental benefits beyond fewer food miles. 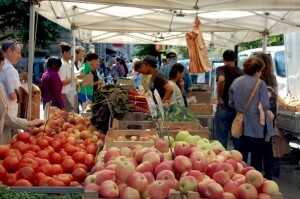 The farmers market at Columbia University. Local food keeps local land in production and local money in the community, often costs less than conventionally produced food, and builds community relations. Decentralized production also reduces food safety risks, as long-distance food can potentially be contaminated at many points on its journey to our plates. Small farms also more readily adopt environmentally friendly practices. They often rebuild crop and insect diversity, use less pesticides, enrich the soil with cover crops, create border areas for wildlife, and produce tastier food (since industrial food is bred to withstand long-distance shipping and mechanical harvesting). Jennifer G. Phillips, assistant professor at the Bard Center for Environmental Policy, and formerly a researcher at the Earth Institute’s International Research Institute for Climate and Society, noted that a key environmental benefit of local food is that it keeps nutrient cycling at the local level, while conventional agriculture can upset a region’s natural nutrient balance. For example, nitrogen and phosphorus, nutrients plants need to grow, are contained in fertilizer and in agricultural waste. Phosphorus in fertilized grain grown in the midwest is shipped to the northeast for dairy cow feed, then the dairy cow manure is applied to fields in the northeast where the excess phosphorus runs off into streams, lakes and finally the ocean. The runoff can result in eutrophication, a serious form of water pollution where algae bloom, then die, creating a dead zone where nothing can live. If nutrients were cycling locally, there would be no excess. The flock at Gansvoort Farm. Photo credit: Gansvoort Farm. 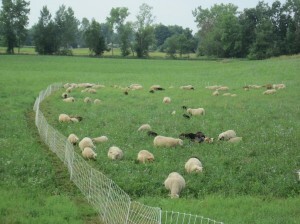 Phillips, a farmer herself, raises 100 sheep on organically-managed pastures at her 86-acre Gansvoort Farm in New York’s Hudson Valley. She was recently forced to sell off her beef cows because she could not afford to keep them; if she depended solely on the farm for income, she said, she would either need to become more diversified or scale it up. Scaling up local food production requires infrastructure such as slaughterhouses, cold storage, processing facilities, mills, distribution, etc. Before World War II and the advent of the industrial food system, this infrastructure was largely localized, but today it no longer exists. Clare Sullivan, environmental research coordinator at the Earth Institute’s Tropical Agriculture and Rural Environment Program, is also a local farmer. 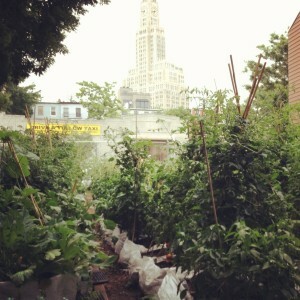 She is involved with Feedback Farms, a temporary local farm on a reclaimed 6500-square-foot lot in Brooklyn, NY. The 2000-square-foot garden produces tomatoes, peppers, lettuce, cucumbers, eggplant, greens, carrots, beets, radish and kale, and sells 80 percent of its produce locally to restaurants, grocery stores and at their onsite market—all within 4 to 5 blocks and via deliveries on foot. They eat the rest themselves. Because the soil is contaminated with heavy metals, the farm had to import soil from the Hudson Valley, and plants in raised beds and moveable containers. Feedback Farms offers environmental benefits such as providing habitat for insects (pollinators), absorbing stormwater runoff, and cycling nutrients through composting. But Sullivan feels its biggest benefits are social—providing an educational experience for the community whose members can participate directly in vegetable production, composting and rainwater harvesting. In truth, the question posed by this post’s title is impossible to answer definitively because so many variables are involved. Small and local farms may use pesticides, plow extensively and irrigate inefficiently. Some may grow in greenhouses heated with fossil fuels. Large farms growing crops suited to their region may use less energy per product and grow more food on less land. And adopting strategies such as no-till, more efficient irrigation, integrated pest management, judicious fertilizer use, better handling of manure and leaving fields fallow could help offset the greenhouse gas emissions of large farms. The inputs into the food production life cycle also vary according to variety of fertilizer used, amount of pesticides and herbicides applied, type of farm machinery, mode of transportation, load sizes, fuel type, trip frequency, storage facilities, food prep, waste, etc. To make sense of the multitude of variables, the Tropical Agriculture Program and a group of international scientists have launched Vital Signs. Vital Signs is establishing a system for monitoring multiple dimensions of agricultural landscapes simultaneously. 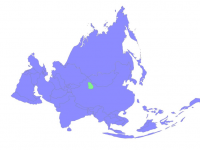 Monitoring a minimum set of social, environmental and economic indicators over time will enable farmers, scientists, policy makers and organizations to compare agricultural systems for sustainability and provide tools to evaluate the risks and tradeoffs of various aspects of agricultural systems. Although it is being developed for sites in Africa, the data collection and analysis will be applicable to many different agricultural systems from organic and small farms to large-scale farms. “We need to finally be able to answer these questions that consumers are asking,” said Sullivan. solid article. i believe the author is mistaken in believing that eating entirely local is “impossible.” it is not. it is entirely possible if the consumer is willing to forego foods not grown regionally. nice thinking of author regarding Green house gases. this is a really big problem for our environment that’s why Monotreal Protocol has been signed in 1987 but no longer benefit is being seen. Thanks for this article. This reminds me of that book Unprocessed: My City-Dwelling Year of Reclaiming Real Food. I had no idea of all this info. until recently. Refrigerator, freezer and canned used to mean greater variety through winter, on preserved harvest. Now it means shipping food around the world for processing, and then back for selling. Insanity, for max profit. whats better a hunter gatherer food chain or a local sustainable food chain?